This design and build project was awarded to Earth Stability through competitive tender. 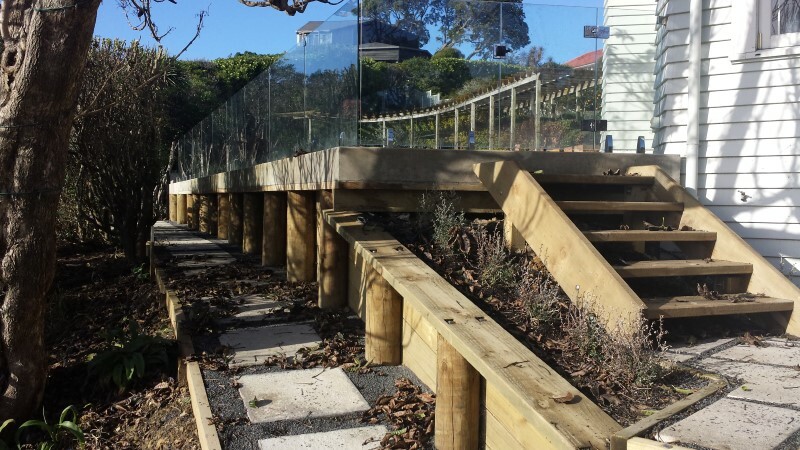 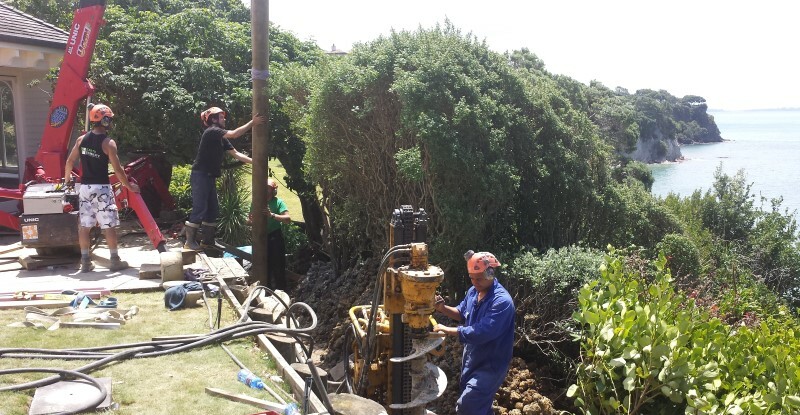 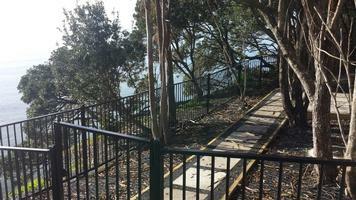 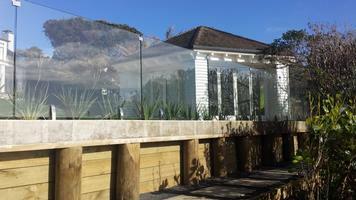 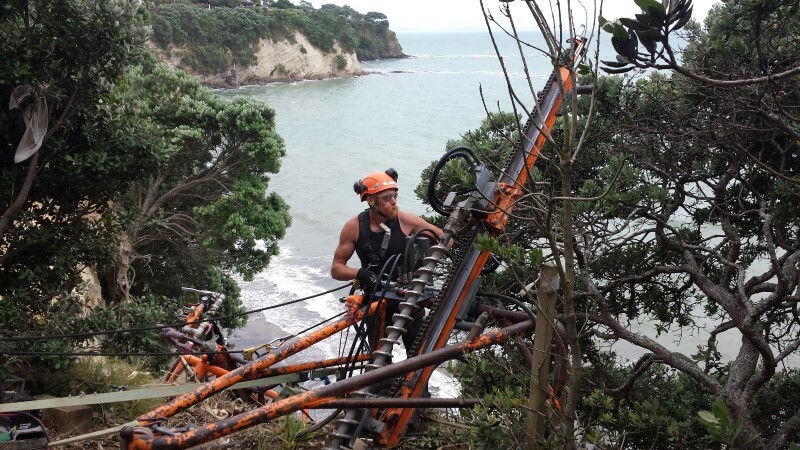 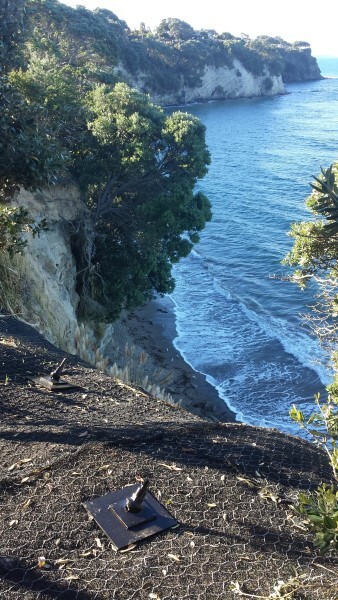 The project involved the cliff top remediation of a large slip spanning two coastal properties in Auckland’s Castor Bay. 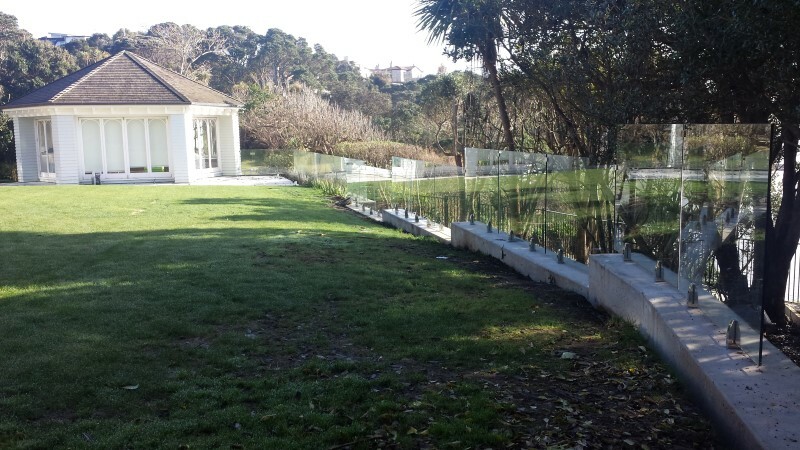 The project required the installation of a 25m long in-ground concrete piled wall, 350sqm of Maccaferri Macmat R erosion matting and rock fall mesh secured with 150 drilled and grouted galvanised + epoxy coated soilnails. 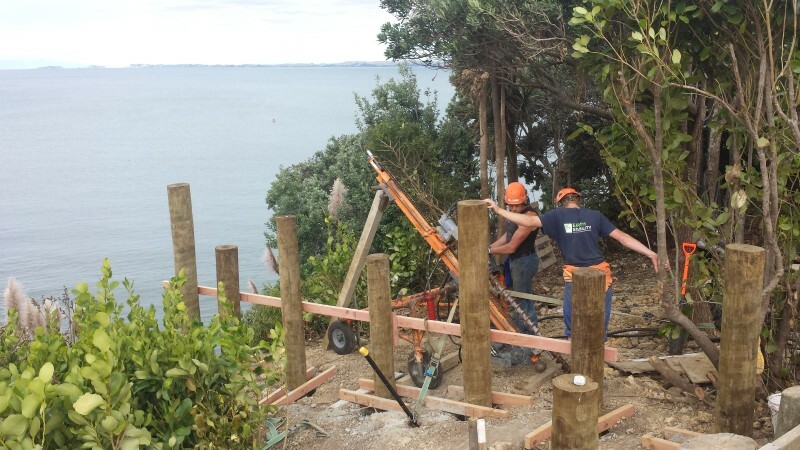 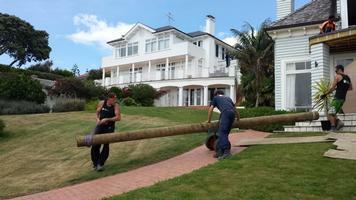 All works were completed within the coastal foreshore areas with access necessary via Auckland Council Parks. 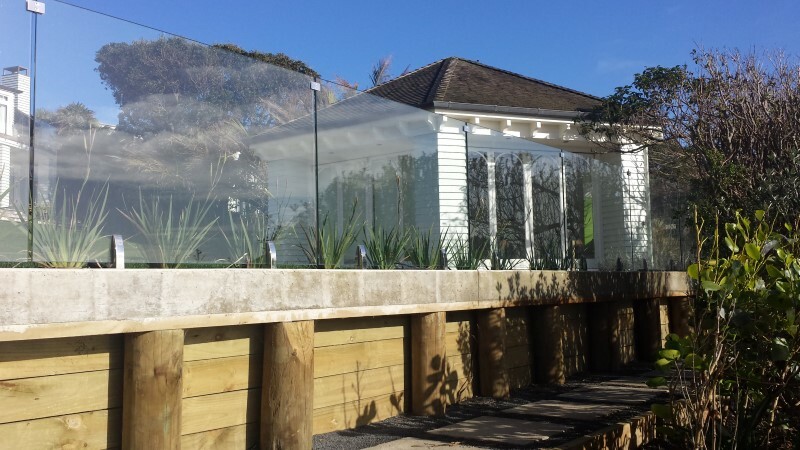 As such, a specific methodology was designed and implemented which catered for, and prevented any damage to, the highly sensitive environment. 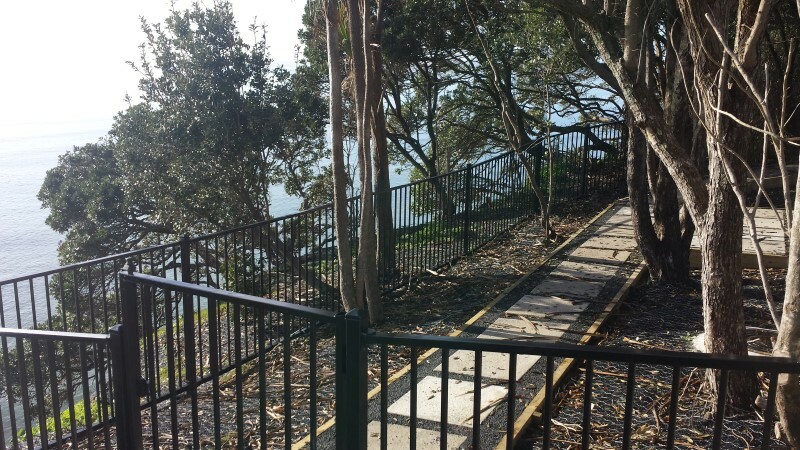 All works were completed over the peak of summer with no delays, disruption or impact to the large volumes of public visiting Kennedy Park or its surrounding beaches. Work was completed on time and to budget.